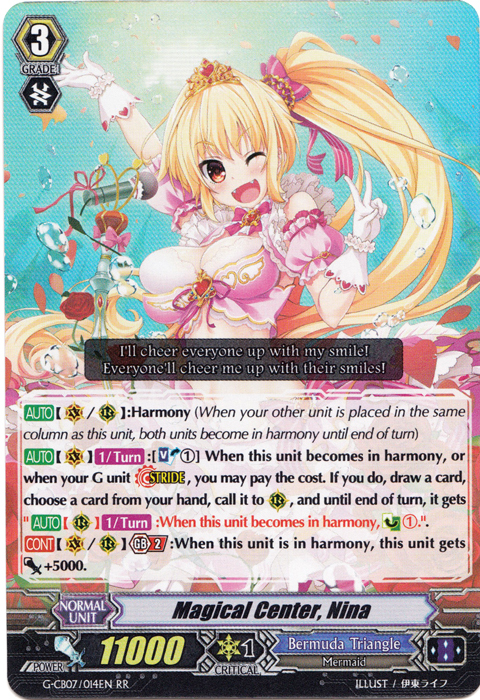 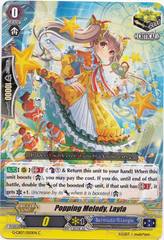 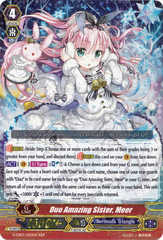 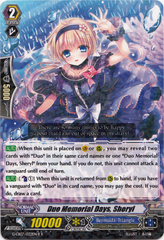 Card Effect: [AUTO](VC/RC):Harmony (When your other unit is placed in the same column as this unit, both units become in harmony until end of turn) [AUTO](VC)[1/Turn]:[Soul Blast (1)] When this unit becomes in harmony, or when your G unit Stride, you may pay the cost. 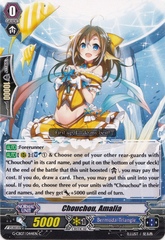 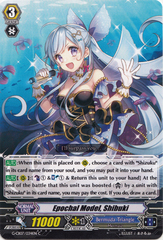 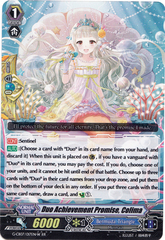 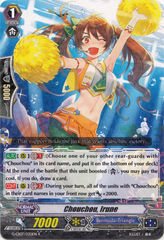 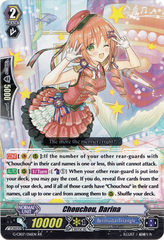 If you do, draw a card, choose a card from your hand, call it to (RC), and until end of turn, it gets "[AUTO](RC)[1/Turn]:When this unit becomes in harmony, Counter Charge (1).". [CONT](VC/RC) Generation Break 2:When this unit is in harmony, this unit gets [Power]+5000.